The Grout Medic’s mission is re-creating the beauty of home – but we always have the health and safety of you and your family in mind. We want to ensure that our customers’ tile and grout areas – floors, walls and backsplashes – contribute to and augment the overall attractiveness of rooms and living spaces. 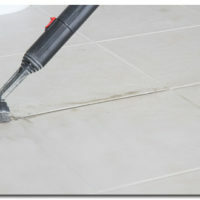 Eliminating unsightly mold from tile and grout is a significant part of the tile and grout cleaning process, but tile and grout mold removal isn’t just about appearance. Mold can develop on tile and grout surfaces, especially in high-humidity areas of your home such as bathrooms and the basement. Certain types of toxic mold have the potential to cause or exacerbate allergies and respiratory ailments – including those that are potentially life-threatening. While some mold varieties are easy to spot because of their greenish-black appearance, other types are invisible to the naked eye. You might not be aware that, in some cases, health problems may actually be attributable to the presence of mold in your tile and grout areas. Infants, pregnant women, the elderly, and those who already suffer with asthma or other respiratory illnesses might be particularly at risk. 1. Is your indoor air safe to breathe? Have your home inspected by a reputable mold and air-testing company. These professionals will conduct a thorough visual inspection of each room, and collect various particle and air samples to determine the presence and extent of possible toxic mold growth. 2. If you spot mold growth, you can determine whether it is toxic by using a home test kit to collect a mold sample for laboratory analysis. Caution is advised, though, especially if you have a health condition. Always remember to wear gloves and a mask when dealing with mold growth. 3. 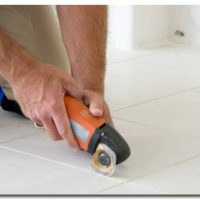 Controlling moisture will help in preventing and inhibiting toxic mold growth around your tile and grout. Be sure to locate and repair any water leakages, and consider installing a de-humidifier in your basement to keep excess moisture out of your indoor air. 4. Invest in an air purifier with a HEPA filter to cleanse you indoor air of mold spores and airborne microbes. Place it in an area where you would frequently find mold – basements, bathrooms or kitchens – and replace your HEPA filter frequently. If you find that you have a problem with tile and grout toxic mold growth, keep your family safe by contacting your local Grout Medic for fast, effective tile and grout mold removal. Our professionally-trained technicians will eradicate tile and grout mold from your home, and further advise you on tile and grout mold prevention. Restore beauty and health to your home. Don’t hesitate – contact The Grout Medic today for a free consultation!